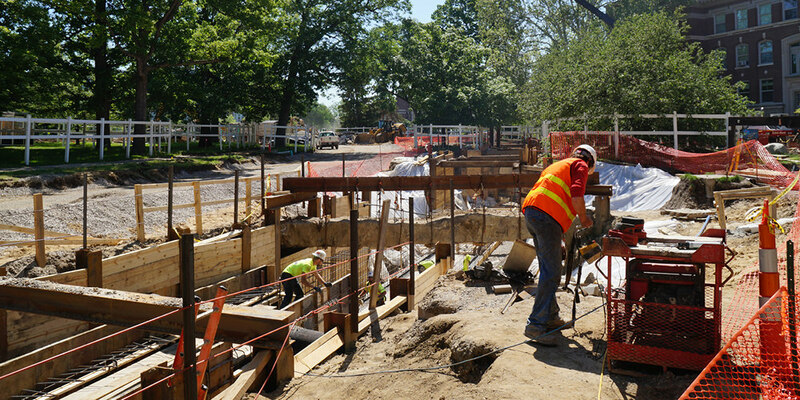 Granger was selected to perform the 2012 North Campus Infrastructure project which involved the renovation and reconstruction of the existing steam utility system within MSU’s historic North Campus. Based on the team’s exemplary work within an extremely aggressive schedule, MSU hired Granger to also perform the remaining 3 phases of the project. Work included removal and replacement of high pressure and low pressure steam piping, electrical and communication vaults and ductbank, cast-in-place and precast steam tunnels and vaults, sanitary sewer, storm sewer and watermain as well as the complete reconstruction of roadways and sidewalks.